I realized that I’ve only ever posted one juice recipe and figured it was time to put up another one. 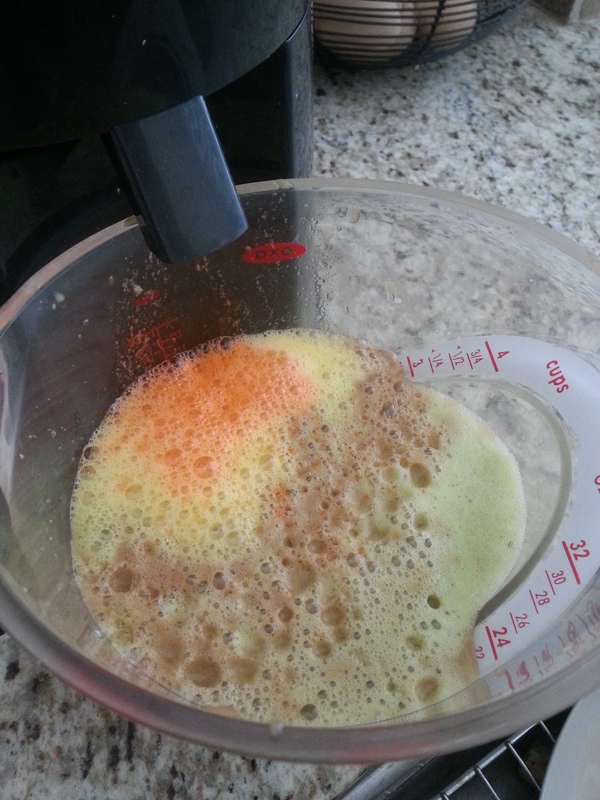 I have really slowed my roll on juicing but decided to bust my juicer out so the kids could have some fresh juice with breakfast. 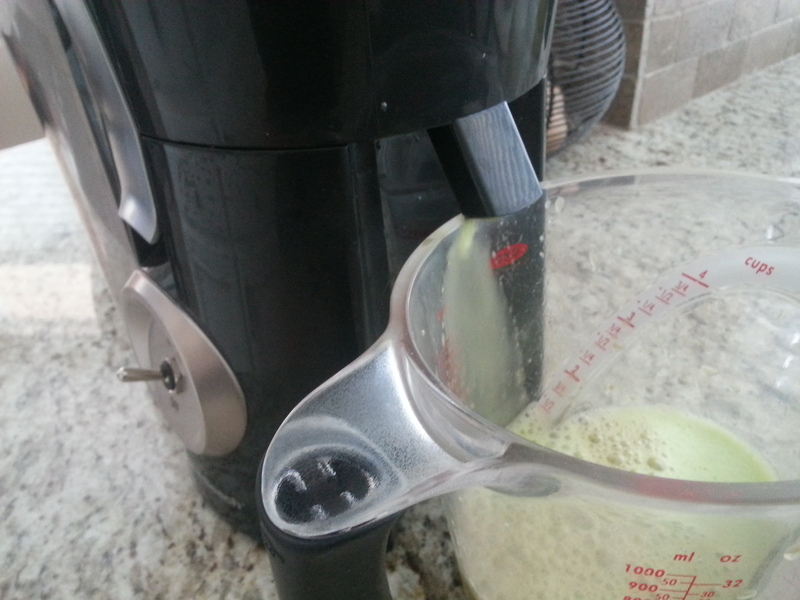 I have to admit, juicing is really a serious hassle. But if you’ve got the time, it’s totally worth the result, which is crisp, fresh tasting juice! Now, I call this “orange” juice because of the color. There are oranges in it, but it’s not just plain ole’ orange juice. This is a great recipe for a virgin juicer who’s not willing to jump into the green juice pool just yet, or for picky kids. 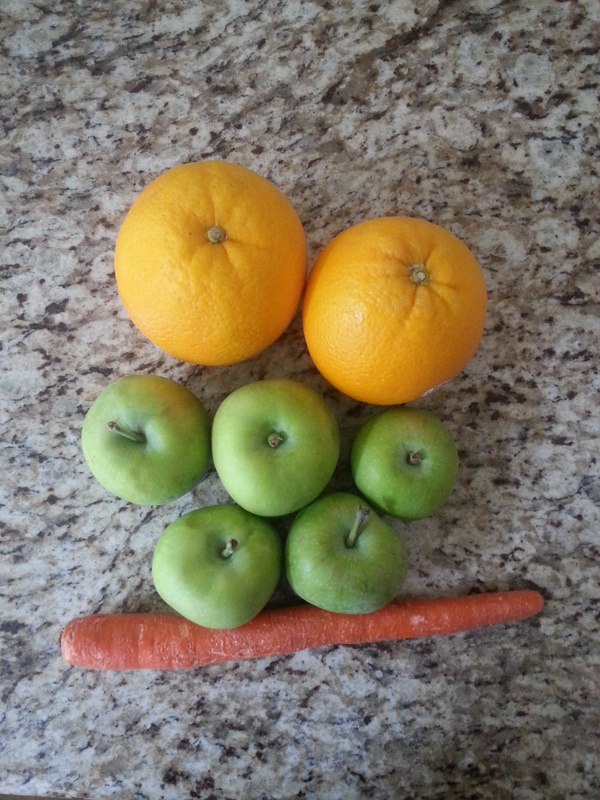 Turn your juice extractor on and add ingredients in the order listed. Stir and pour over ice. I tried to get an action shot. It was difficult. Yes the color looks a bit off now, but wait! Check out that gorgeous ORANGE color! I just wanted to mention that if you have the time, I highly recommend trying the aforementioned plain ole’ orange juice. 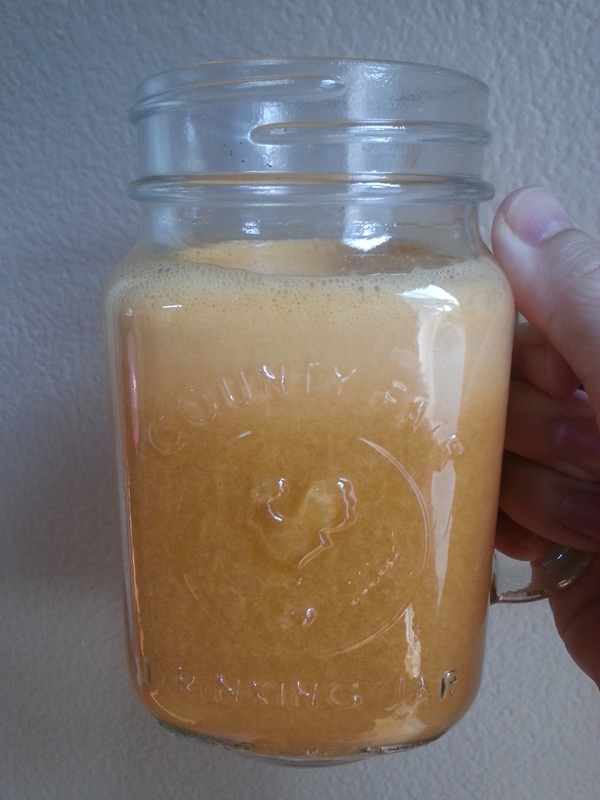 It’s so much better in a juice extractor than in a traditional citrus juicer. Frothy and almost creamy. Very time consuming to cut off all the peels but if you’re hankering for some O.J. and have the time, give it a try.